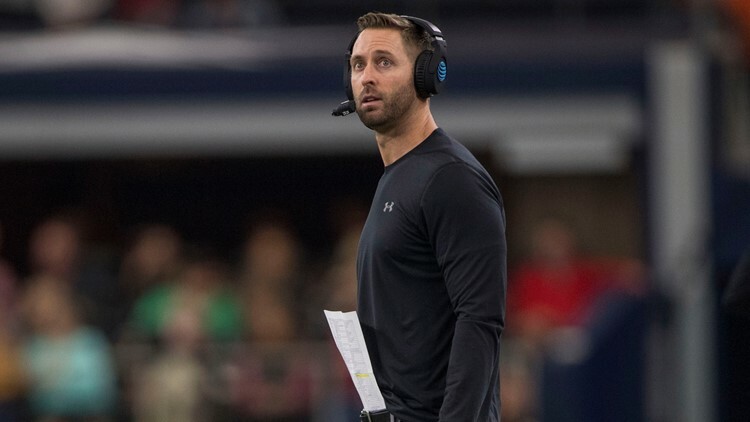 TYLER — The Arizona Cardinals have hired Kliff Kingsbury as the team's new head coach. On Tuesday, team ownership finalized the deal with the 39-year-old who was named USC's offensive coordinator and quarterbacks coach about a month ago. He made the leap to the Pac-12 just one week after being fired from Texas Tech. Kingsbury went 35-40 during his six years in Lubbock. His air raid offense at TTU produced one of the hottest quarterbacks currently in the league, Patrick Mahomes. He also met with the New York Jets on Monday night before flying to Arizona Tuesday morning.